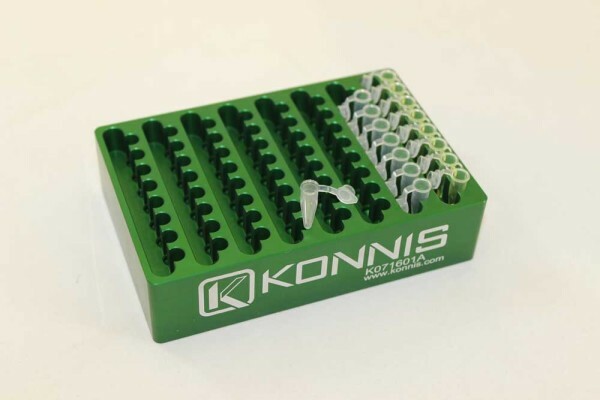 The Konnis adapter offers 64 positions of 0.2mL Flat-Cap PCR tubes in an SBS format. 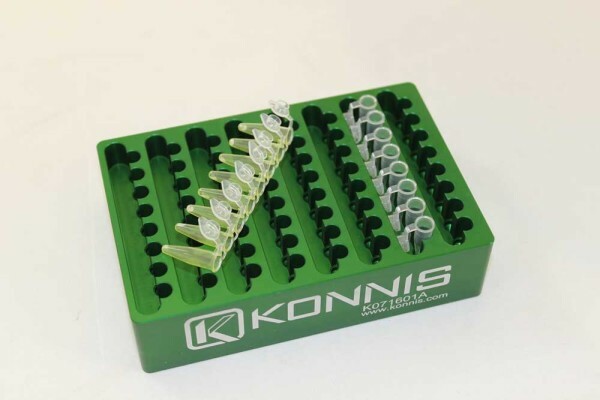 The tubes can be individual or as a connected group of 8 tubes. 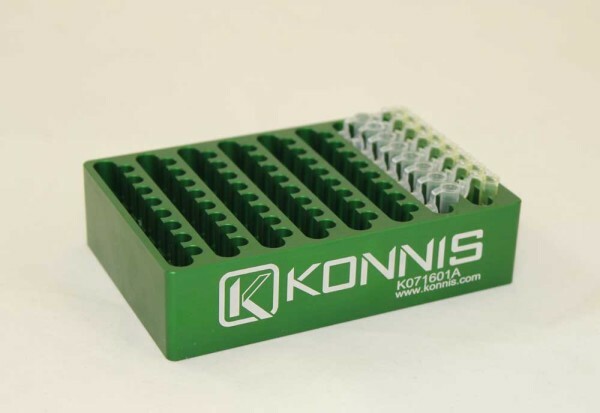 The channel along side the tube receptacle holds the cap out of the way regardless of the specific cap attachment configuration.